VOCATIONAL EDUCATION BROUGHT MUCH SUCCESS TO GERMANY… SO WHY ISN’T IT WORKING FOR MALAYSIA? Our ears bleed from hearing our elders emphasise way too much on the academic science stream as the ultimate path to success! We’re also raised to think that vocational education is an option for school dropouts, non-academically inclined students and slow learners. Well… Thanks to this stigma, the system receives a generally low enrolment of students. Now, there are calls for a collaboration in transforming the system and making it a first choice. With the establishment of a committee to prep Malaysia for the 4th Industrial Revolution, committee head Nurul Izzah is studying reform reports and having discussions with the relevant ministries. Put your hands together for… TVET reforms!! Image from NST. What in the world is the problemo with our vocational education? “Technical and vocational education and training (TVET) is understood as comprising education, training and skills development relating to a wide range of occupational fields, production, services and livelihoods.” – UNESCO’s definition of TVET. TVET is usually referred to as education for “blue collar” jobs, which involves more handy work (like technicians, plumbers, hairstylists, chefs, farmers etc) than a “white collar” job. Ooohh, that’s why they’re called “white collar” and “blue collar”. Image from The Conversation. Here’s how it works. If a 15-year-old student wants to pursue something hands-on after PT3, s/he can go to a vocational college to get a SKM (instead of SPM) in the first 3 levels and then proceed to a diploma or advanced diploma in either a vocational college, community college, polytechnic or a university (can choose public or private). SPM leavers can also walk the same path – just opt for a vocational tertiary institution. If you want to find out more, click on this link. Berjaya University is one of the places to consider for a TVET course. Image from The Sun Daily. It generally uses different forms of learning (formal, non-formal and informal) to facilitate a well-rounded transition into the job market. When it comes to education, we all get excited seeing the word “well-rounded”, right? But then, why does our current TVET system seem so unpopular here? For starters, TVET Journal and Professor Dr Ramlee Mustapha of Universiti Pendidikan Sultan Idris (UPSI) said that some characteristics of TVET schools could be improved. Like getting better infrastructure and equipment. Teaching approaches need to be more interactive and digital, especially for millennial students. The education system and labour laws must also be more flexible and responsive to our country’s economic goals. And since the whole point of vocational education is to prepare students for employment, it’s super important that schools buddy up with potential employers. Imagine a 20-year-old graduate with sound mechanical skills going STRAIGHT into companies like Proton or Western Digital, without having to search and apply from scratch. On top of this, Nurul Izzah said that tertiary education and TVET systems are so out of sync. Despite a government funding of about RM4.5billion on TVET, it is not running at full capacity, according to the Human Resource (HR) Ministry. This is where the collaboration and coordination between the TVET Committee and relevant ministries become significant. 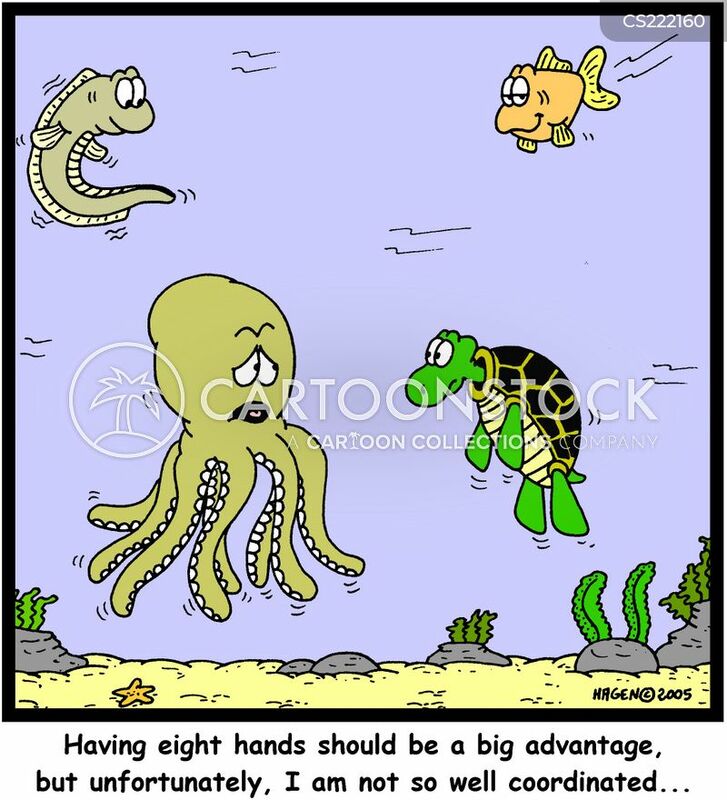 Our TVET system can relate to this octopus. Image from Cartoon Stock. TVET needs to be integrated into mainstream education since [an article by the New Strait Times (NST) said that] TVET provides highly skilled human resources which will boost our country’s economy and enable it to become a “high-income nation”. A journal article by Margarita Pavlova (definitely a human being, not a drink or dessert) also said that TVET is “a tool for productivity enhancement and poverty reduction” in the Asia-Pacific. But for Malaysia to truly prosper in the long term, the elephant on the couch- sorry, in the room needs to be addressed: youth unemployment and employability. 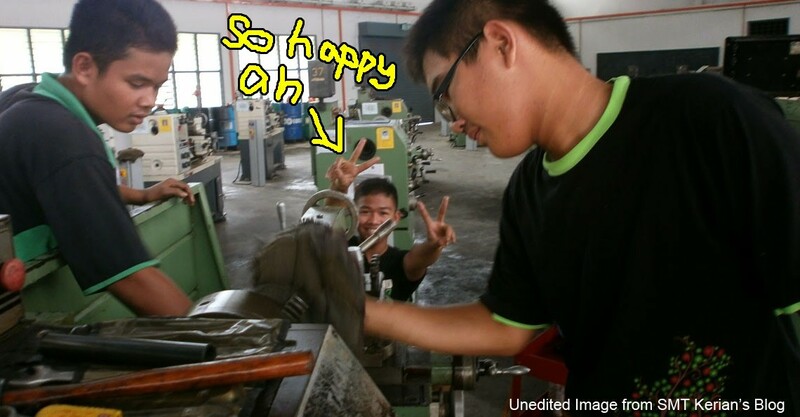 Yes, we’re emphasising on jobless freshies. Malaysian Industrial Development Finance (MIDF) said that youth unemployment rate remains frustratingly high at roughly 204,000 due to the demand and supply mismatch of skills. Repeat after us: “TVET increases employability”. Image from MOHE Editorial. A senior researcher at Malaysian Institute of Economic Research (MIER) explained how young adults end up jobless. They are more likely to be job hunting either because they’re fresh grads or changing jobs. But, job vacancies don’t match-match with the skill sets freshies have but instead ask for more experienced candidates. Moreover, Azeem Abu Bakar of the Organisation for National Empowerment (ONE) pointed out the need for grads to adapt to the tech evolution of the job market by learning new types of skills. Great tractor skills but isn’t he too young for this? Image from Giphy. We came across some success stories of TVET graduates who proved the naysayers wrong (if you want, you can read them in detail here and here). If there is one thing these grads can agree on, it’s that TVET has prepped them up for the real world. “TVET helped me advance in my career and created healthy competitionbetween me and my male colleagues. The training is also important to produce skilled workers that the country lacks.” – said Nur Izzati Athirah, who is pursuing underwater welding, a male-dominated profession. Nur Izzati Athirah looks so cool when prepping for work. Image from The Star. Hold up! Don’t get too excited. It has some disadvantages too (in other countries as far as data brings us). American Leaf Group’s Classroom claimed that TVET grads face lower lifetime earnings (despite a high earning potential) and specific fields of study (which limits flexibility in learning further on the job and adjusting to newer tech). Career Ride also said that TVET programmes are not widely recognised and have higher costs for lab-related stuff. Former Deputy Education Minister Datuk Chong Sin Woon said that the percentage of Malaysian students in TVET are pathetically lower than that of some countries. According to him, we only have 8% of our secondary students in TVET. Germany? 60%! Let’s see how it works. Germany practices a dual vocational education system which emerged from the Vocational Training Act to ensure that every industry had enough talent for a modern Germany. Why dual? Simply because it has two components: apprenticeshipand theory classes. So, the students get the best of both worlds! They have technical know-how AND hands-on experience. If that’s not great enough, the theoretical classes don’t neglect some academic subjects like German, English and social studies, which cuts out the previously mentioned disadvantage of specificity. A glimpse of the practical part. Image from Young Germany. Because of its pros, its graduates are highly employable. No wonder the Germans find it socially acceptable to pursue TVET. “In Germany, people studying TVET would go on to become PhD holders, but it is not the same here,” said HR Minister Kulasegaran. Of course, despite a few technical issues, its success couldn’t be possible without a well-coordinated TVET system. And because it’s so good, the German TVET system is evident in some places including Malaysia (via the German-Malaysian Institute) and Slovakia. Singapore pulak has been implementing TVET since its merdeka in 1965. Our fun-sized neighbour houses vocational universities like Nanyang Polytechnic (NYP), Singapore Polytechnic International (SPI) and Institute of Technical Education (ITE). Waaahhhh… Image from The Nation. labour-intensive economy (1960s-1970s): Expanded the education system to meet the needs of industrialisation. capital-intensive economy (1980s-1990s): Involved economic restructuring when the Singaporean govt decided to set a minimum of 10 years of general education for everyone, so TVET became a post-secondary education option. knowledge-intensive economy (2000s): Built a globalised, knowledge-driven economy by working on making itself an education hub. 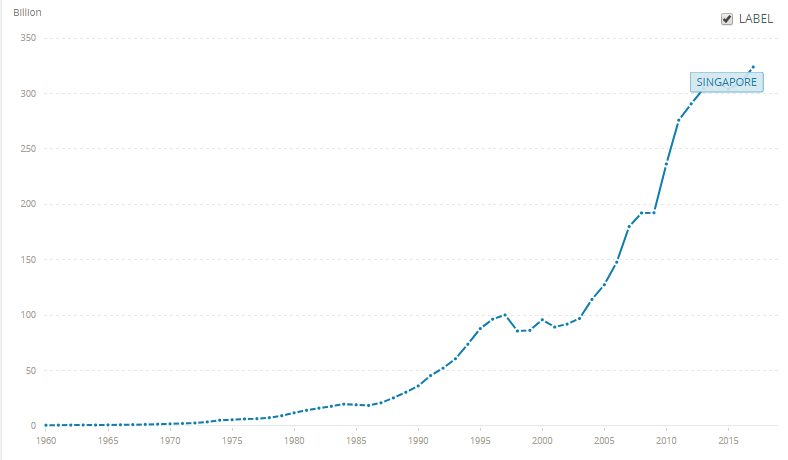 Look at how Singapore’s GDP has grown over the past 5 decades! Screenshot from The World Bank. Right now, WorldSkills and SkillsFuture are major initiatives in promoting TVET in Singapore. WorldSkills is the “global hubfor skills excellence” while SkillsFuture is a national movement to encourage Singaporeans to continuously develop their skills. If TVET grads want to gain career opportunities related to their field of study, they can participate in the SkillsFuture Earn and Learn Programme, a work-learn programme. So, how about we jump on the bandwagon? If you still insist on bashing TVET kawkaw, then these two things (as claimed by Datuk Chong Sin Woon) might probably convert your mindset to favour TVET: starting salary and employment prospects. It turns out that TVET freshies earn between RM2,000 and RM5,000 monthly, which isn’t so different from what uni freshies earn. TVET grads are also in high demand by employers and not limited to certain industries. By the way, the salary range mentioned is probably applicable to minority industry (or maybe even none, common, RM5K for freshies?? “They are highly sought after by industries – 90% of the cohort in our TVET(technical and vocational education and training) who graduated last year are already employed. 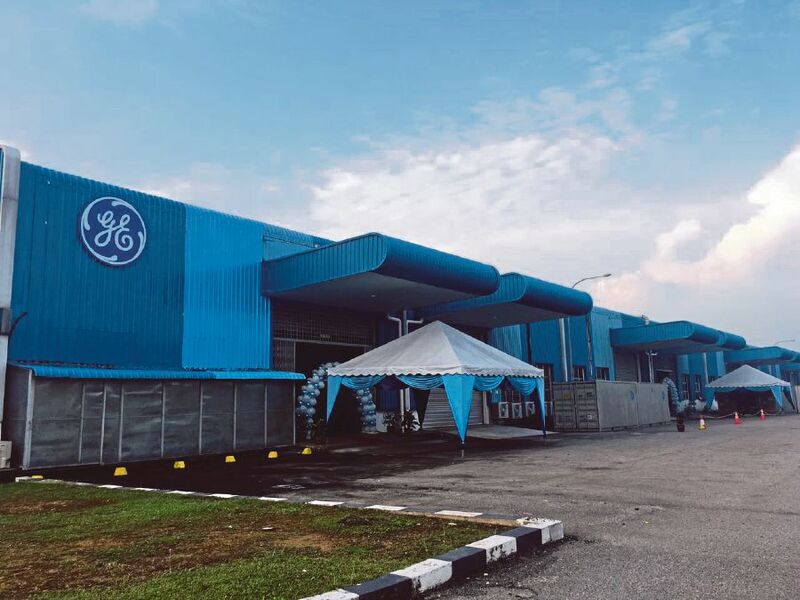 Vocational and technical graduates don’t just end up opening beauty salons or bakeries, many of them work for multinational companies like Boeing.” – said Chong. Or maybe General Electric? Image from the New Strait Times. Chill, guys. We’re not badmouthing mainstream education but we wanna tell y’all that TVET is not as bad as you’d think. There’s hope for TVET here if proper reforms are made to fix its current issues. We’re not alone in this as other places like Bangladesh, countries in the Pacific region as well as countries in Latin America and The Caribbean are also trying to reform their TVET systems. TVET can actually make Malaysia great again like our advanced counterparts since it makes employees more employable with skills that match job requirements and familiarity with the working environment, hence boosting the country’s productivity and curbing youth unemployment. With that in mind, maybe it’s time to stop making fun of that one relative who is pursuing a vocational course, eh? Hi, thanks for the effort of letting more and more people know about the importance of vocational education to them and to Malaysia, I’m one of the advocator and I would like to share more and how we can work together.